Impressive, showroom worthy 4 bedroom and 3.5 bathroom home sitting on .22 acre corner cul de sac lot in Quail Valley! Beautiful and carefully maintained D.R. Horton property with picturesque front porch. Ample open layout enjoying newly re-finished hardwood flooring, bay window and bright family room with gas fireplace. Wow! guests in the upgraded lux kitchen. Boasting 9' ft long center island with sitting for 6, stone slab countertops, extensive soft-close cabinetry with prep area, stainless steel high-end appliances and induction stove/oven. Relaxing master suite retreat with cathedral ceilings, walk-in closet and fenced backyard views. Custom designed entertainer's Trex deck with integrated sitting area, pro-landscape exteriors, garden bed, firepit and play area. 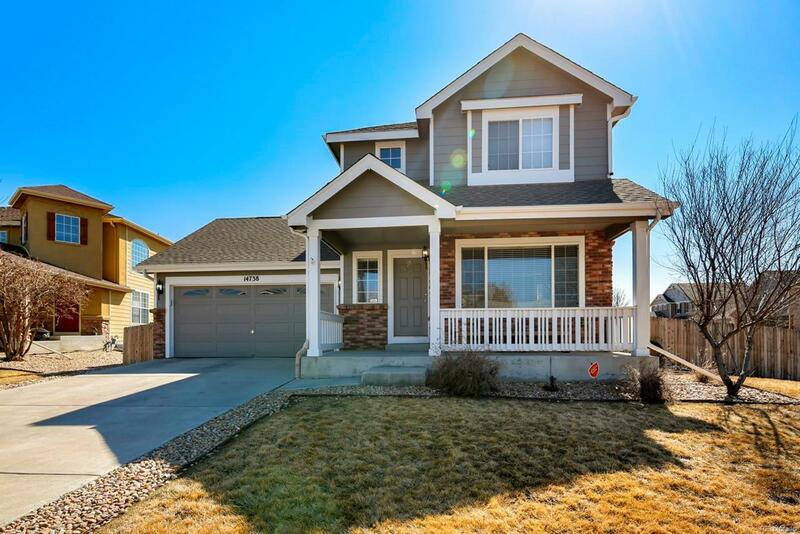 Fantastic location with quick access to I-25, E-470, and Colorado Blvd. Minutes drive to St. Anthony's North Health Campus and The Orchard Town Center! Prepare to be delighted...set up your showing today!